As soon as the clock turned from 11:59 on October 31st to midnight on November 1st, I turned my speakers up and pressed play. “All I want for Christmas is you” blasted from my room and into the kitchen, and my roommate, used to my holiday antics, rolled her eyes. But, oh, that is exactly how it works. I was ready. Ready for the Starbucks red holiday cups, the Michael Buble Christmas albums, the “Home Alone” re-runs, and, of course, constant replays of TV’s best holiday episodes. From “The Office” to “Lizzie McGuire,” there’s a holiday episode out there to cure everyone’s frigid-Boston-blues. Here are my favorite. Okay, this one’s easy. I have never met a single person who isn’t entertained by Dwight Schrute’s bizarre antics, especially in this Christmas fav. If you’re not already in enraptured by “New Girl”’s leading man, Schmidt (Max Greenfield), this episode will surely do the trick. This episode highlights the gift-giving pressures of the holiday season and pokes fun at Christmas traditions, such as Secret Santa. 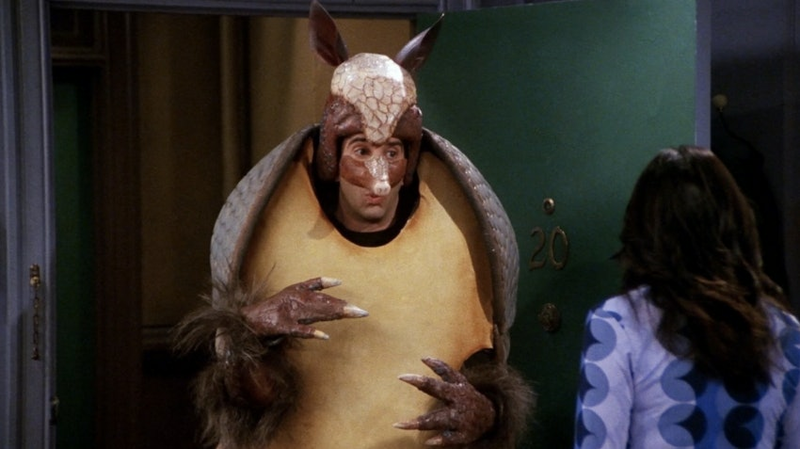 Friends, “The One With The Holiday Armadillo”. If you haven’t watched every episode of friends, are you even a real person? This episode is all about Ross trying to figure out a creative way to explain Hanukkah to his son, Ben, while still being as entertaining as the man in red himself. This episode is widely regarded as the best one created in the infamous sci-fi series, so it’s definitely a must-watch anyway. But its underlying themes of family and unconquerable love are sure to get you feeling as mushy as watching a wood-lit fire. Characters Desmond and Penny finally reconcile on Christmas Eve after years of separation, and their reunion is sure to make your heart burst. As another classic sitcom, HIMYM is more well-known for their Thanksgiving episodes, so if you’re like Georgia and don’t want to skip Thanksgiving, maybe take a look at one of these. 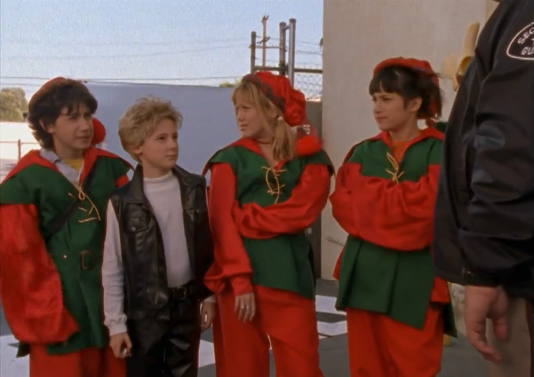 However, this Christmas episode came out early on in the show’s life when the characters were still establishing themselves, making it one of the series’ most important. I totally get it if South Park, like, isn’t really your thing. It’s a smart, satirical show, but it is laced with plenty of dumb humor that really turns people off. But they really are a hilarious show, and they’re so popular for a reason. Their Christmas episodes never fail to entertain (and offend) viewers, so check this out if you’re looking for some holiday-induced laughs. If you spent your whole life wanting to see Patrick’s famous picture of Spongebob at the Christmas party, then look no further than Spongebob’s first Christmas episode ever. It’s hilarious to go back to the earlier seasons of Spongebob, but this episode is truly adorable. It’s all about Spongebob bringing Christmas back to Bikini Bottom, and if you don’t find that entertaining, I’m not sure what you will.